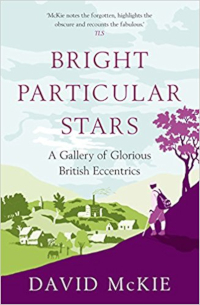 In Bright Particular Stars, David McKie examines the impact of twenty-six remarkable visionaries on twenty-six unremarkable British locations. From Broadway in the Cotswolds, where the Victorian bibliomaniac Sir Thomas Phillipps nurtured dreams of possessing every book in the world, to Kilwinning in Scotland, where in 1830 the Earl of Eglinton mounted a tournament that was Renaissance in its extravagance and disastrous in its execution, he has created a vivid patchwork of arresting narratives that together illuminate some of the most secret – but most extraordinary – byways of our national and local history. This is a 0about people who, across two centuries, enthralled, shocked of even scandalized otherwise ordinary places and lit up the lives of those who lived there. Some, including Mary Macarthur, who helped the women chainmakers of Cradley Heath win the right to affair wage in 1910, were good to the point of saintliness; others, not least the scoundrelly Barnard Gregory, a London newspaper editor and blackmailer of the 1840s, were less so. Still others mixed the admirable with the morally dubious: the composer Philip Heseltine, aka Peter Warlock, rented a cottage in the Kentish village of Eynsford where he composed a gentle song cycle, but set net curtains twitching by his hard drinking and naked motorbike riding. In Bright Particular Stars quiet, unassuming streetscapes are transformed into beguiling, eccentric and uproarious sits of action which – through the eyes of David McKie – are once more filled with the great triumphs and failures of the visionaries that have each, in their own way, helped shape our island’s rich and chequered history. First published by Atlantic Books in 2011. “A marvellous rag-bag of obscure tales tales that illuminates two centuries of social history from odd angles…a fascinating gallery of people who deserve to be better remembered”.